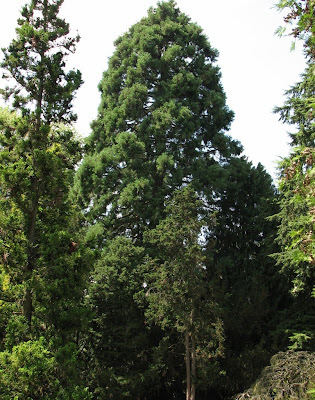 Sequoiadendron giganteum: Sequoiadendron for its similarity to the wood of the Sequoia genus, named for the Cherokee silversmith Sequoyah who developed his nation's first writing system; giganteum giant. Also known as Sierra Redwood. 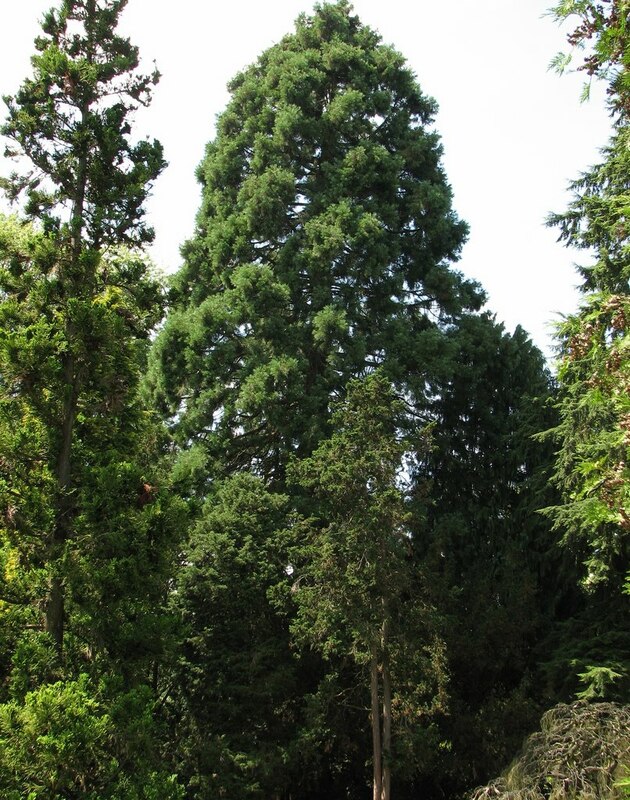 Dense, pyramidal or conical form in the landscape to narrow columnar form in dense mature groves. Symmetrical branches generally horizontal to downward-sweeping with upturned ends. 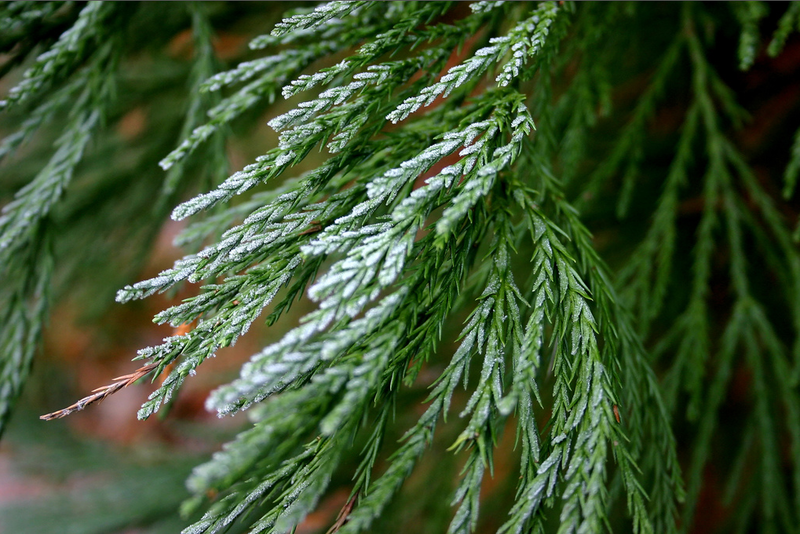 Narrow, gray-green, flat, lance-like leaves with prickly ends, forming round, rope-like foliage sprays of short, overlapping scale-like needles. Opposite or alternate arrangement. 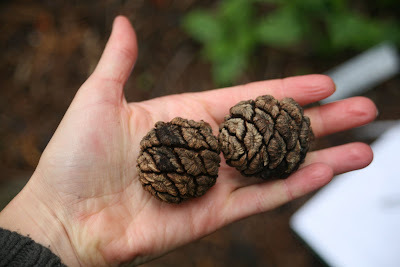 2-3" long cones mature to dark reddish brown in the second year, but may persist on the tree. Wide, oval cone scales. 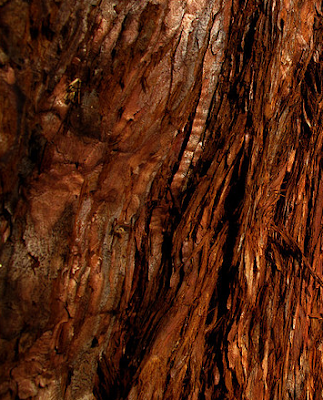 Thick, cinnamon red to dark reddish brown spongy, fibrous bark with large ridges and deep, vertical, interconnected furrows. Large central trunk with a broad, buttressed base. 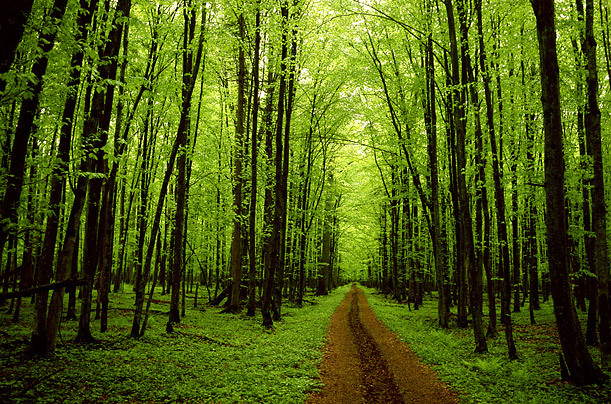 Trees grow up to 300' (90m) with trunks to 35' (11m) diameter. 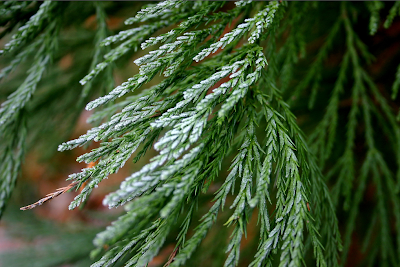 Per Conifers.org, Sequoiadendron only occurs in groves, so that every place it can be seen, it is found within the native mixed conifer forest as a unique, insular stand of gigantic trees. 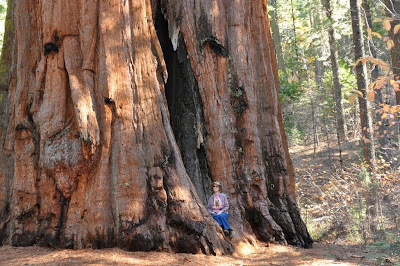 The stature of the trees, despite their occurrence within one of the world's most impressive mixed conifer forest, is literally awe-inspiring. Native to the western slopes of California's Sierra Nevada from Placer to Tulare counties at 4,500 to 8,000' elevation.